Living Colorfully: The Great Planner Debate. Nothing gets my wannabe organized heart going like the thought of a new planner. I adore the sight of a clean, empty planner just waiting to be filled with assignments all the fun things I have planned for the year! Then, one month later it is usually collecting dust somewhere. That routine finally changed when I discovered some amazing planners. 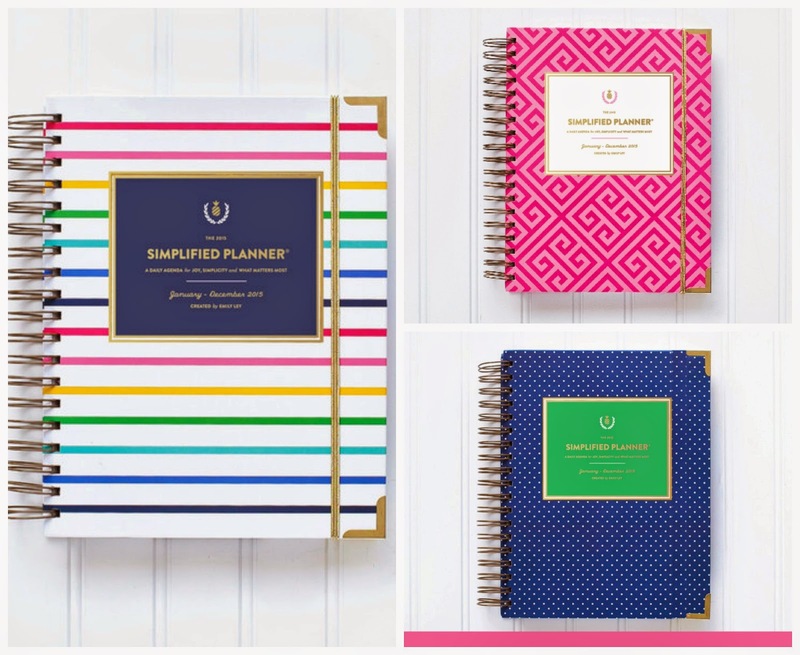 I think pretty much every blogger in the blogosphere uses either the Erin Condren Life Planner, Emily Ley Simplified Planner, Whitney English Day Designer, or the Lilly Pulitzer and Kate Spade agendas. Can I just say for a second that I love how Erin, Emily, and Whitney (we're on first name basis ;)) put their whole hearts into creating planners that focus on what matters most in life? With each one their heart and soul is so apparent, and I love that. So, which one should you use? While we all know I love Lilly Pulitzer, I feel like her agendas are more geared towards younger college students. I had one my senior year and loved it! However, it doesn't have the detailed pages I need now, so I have chosen not to get that one. Same with Kate. Love her, but the Kate Spade agendas don't fit what I need as much (although the price is pretty amazing). First up, Erin Condren Life Planner. I purchased this planner 2 years ago and adored it. It was the first planner I actually used consistantly! I really like how the days are broken up in morning, afternoon, and evening. At the time I used it, I was not in school so it was perfect for planning work and social gatherings. Plus, the stickers are so fun! However, now that I'm in school, volunteering, a part of Junior League, and hopefully working soon, I need more detail in my day. I need to be intentional about prioritizing, so I know this one isn't for me at this point in my life. The Day Designer, by Whitney English. This planner has the same philosophy as the SP. Daily hourly breakdown, to do list, spot for dinner, and an inspirational quote. However, this one also has a spot for "Top 3" to dos, and "Due." Also, at the beginning of the planner are 8 pages of worksheets to really define your goals for the following year. This is great if you are a business owner (or blogger!) and want to clearly map out how to work smart, not just hard. Plus, this year she came out with 9 new covers to complement the classic black and white! So...this year, for the sake of research of course, I chose the Day Designer! I'm really excited to see how I like it compared to the SP. Come 2016 I will really know for sure! :) What got me was the Top 3 to dos for the day and front worksheets. Once I have a job, school, this blog, JL, social life, and other projects I'm going to need to focus on prioritizing, and I think the DD will really help with that. The worksheets will be great for honing in on where my blog will take me in the year to come! The cover is stunning too. Sadly, I couldn't find a picture since her shop is closed until September 15, but it's the rugby design (identical to the green and blue one in the large picture) but with mint and pale pink. I think I really did get heart shaped eyeballs when I first saw it! Phew, that was long! 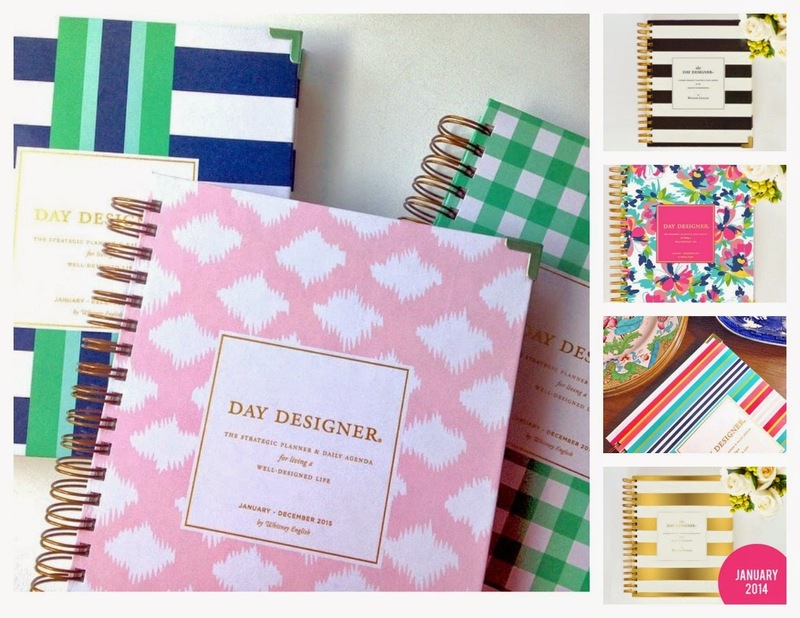 So tell me, which planner do you swear by? P.S. The Simplified Planner goes on sale September 3 and the Day Designer sells their second batch on September 15! P.p.s. Some GREAT Labor Day Sales have already started! LOFT- 50% off NEW Fall styles, and an additional 50% off summer styles! I use the Whitney Engligh planner too - I love it! I just wish there was a better place for notes for the week ahead - some things I want to get done that week, not just a certain day. I just write them in the margin for each monthly calendar view, but other than that, I really enjoy using it! Keeps me accountable, that's for sure. Getting a new planner is seriously one of the highlights of the year for me!! I've wanted the Whitney English one for so long!! It's just so pretty! It's sad how much I LOVE getting a new planner ;) This is year #2 of the Erin Condren for me and I'm sticking with her for awhile I think. For me, I LOVE that it's very large and her morning/afternoon/evening set-up works for me! I'm so grateful you compiled this list! My son starts school for the first time this fall and I realized with all the events at school and my work I need a planner. The Day Designer looked too complex for me and the Kate Spade looked cute, but I can't tell from online photos. How much does the Day Desinger cost $30, $40 or $50 range? I'm currently using Erin's planner but soo excited to order Emily's planner next week! I squealed & cried when I read she announced she was pregnant w/ twins too!!! I've heard awesome things about Whitney's planner too but heard it was "business" oriented which scared me away! I used Emily Ley's for the past year, and have loved it! I am currently in the same boat you are deciding between the two! I love Emily's new weekly planner because it is thinner and easier to travel with, but I am a sucker for the quotes and dinner section! I'm leaning towards Emily Ley's and yes, I totally squealed when she announced she was pregnant!